Print Documents From iPhone - Smart phones have actually done what no other phone can do. From this idea, then comes a lot of questions from potential users of smart phones (and tablets) whether the function can replace other, more powerful devices such as a laptop? You will agree when phones and tablets can not be considered a substitute computer. But there are things that can be done without having to depend on the proficiency level. One is to print documents, photos or anything else that can be carried by your mobile device. No need to move the document to be printed to the computer first, but it could be straight, wow! Without the aid of any device. Apple has that ability. Each mobile devices of Apple, iPhone and iPad both have pinned AirPrint feature. Where we can print the file through applications that support, such as browser Safari, Photos, Email, Pages, Documents to Go and a kind, straight with the help of compatible printer, the terms are in the same WiFi network. OS on the iPhone and iPad has been updated to the most current OS. Check via Settings> General> Software update. Do the update if you have not. Not all files can be printed, with the exception of the applications that it supports. How can we know if an application has the ability to print the file? Check whether the application is a feature shared with the icons described below, then click the icon, is there a print option. Only printers that support AirPrint are able to do this printing efforts. Not all printers on the market has AirPrint specifications. Usually the vendors have registered their products to be compatible with Apple's AirPrint her and for that you need to update the software (driver) printer to the new version, to ensure the compatibility. Check: http://support.apple.com/kb/ht4356. Connected to the same WiFi network printer. 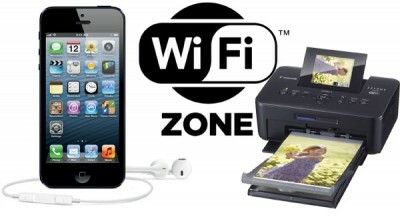 Printers that support AirPrint functionality are sure to have a WiFi connection. Therefore, make sure both the printer and the iPhone is in the same WiFi network. You have finished reading Print Documents From iPhone and many articles about Tech Gallery in our blog this, please read it. and url link of this article is https://littlebitjohnny.blogspot.com/2013/01/print-documents-from-iphone.html Hopefully discussion articles on provide more knowledge about the world of new tech gadgets.